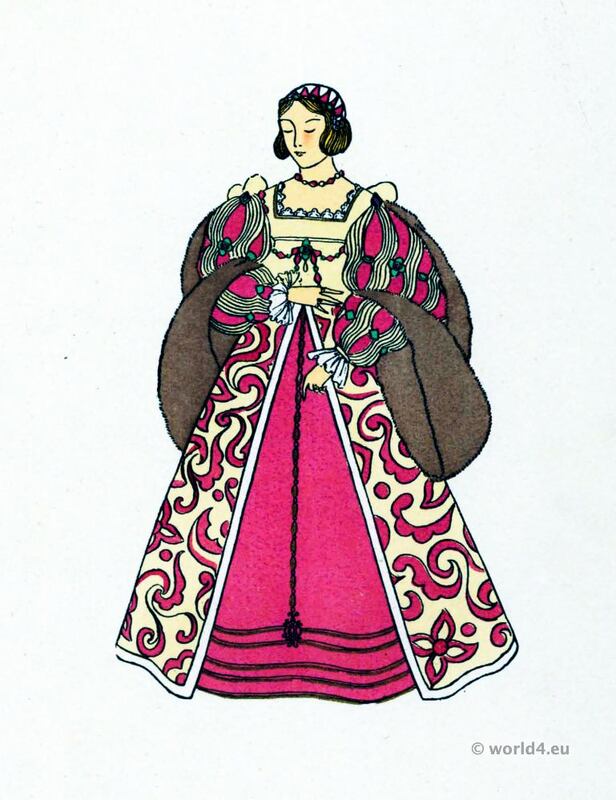 Home » French fashion and costume history. La mode française et l’histoire du costume. Fashion History France – La mode française et l’histoire du costume. The Galleries. 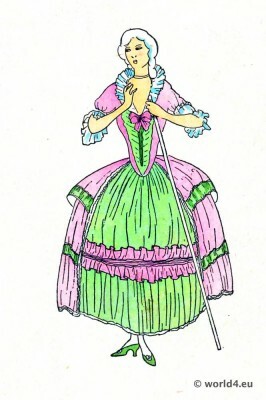 Selected costume illustrations. 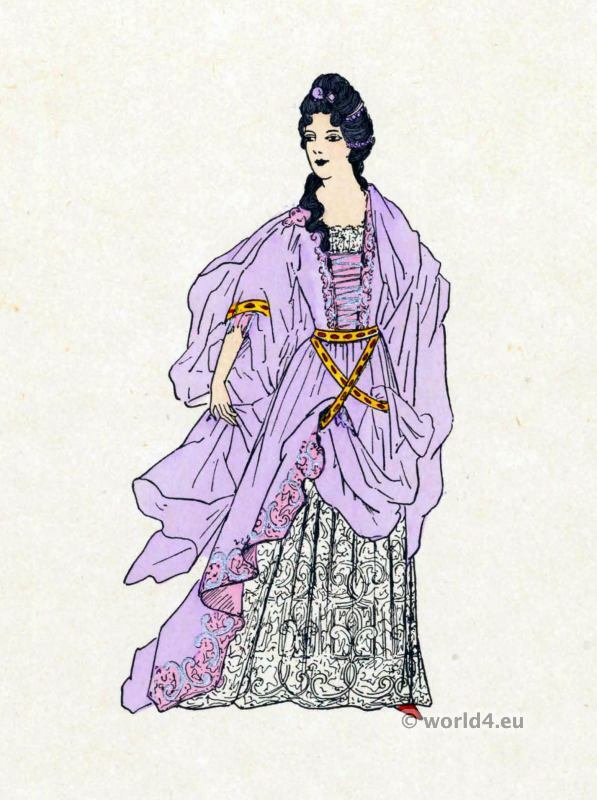 Fashion and Modes from ancient times until the 20th century. 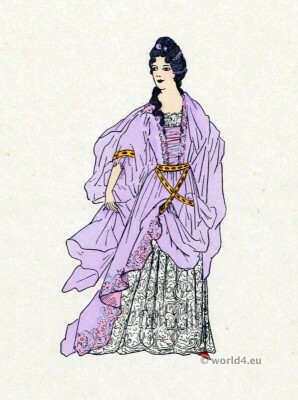 Chronology of French Fashion and Modes from Ancient Times until the 20th century. French male dress in the 13th century. The Salons of Paris in the 18th century, 1786-1789. Fashion before the French Revolution. Execution of the King Louis XVI . French Revolution History. Execution of Marie-Antoinette. French Revolution History. The Days of the Directoire. 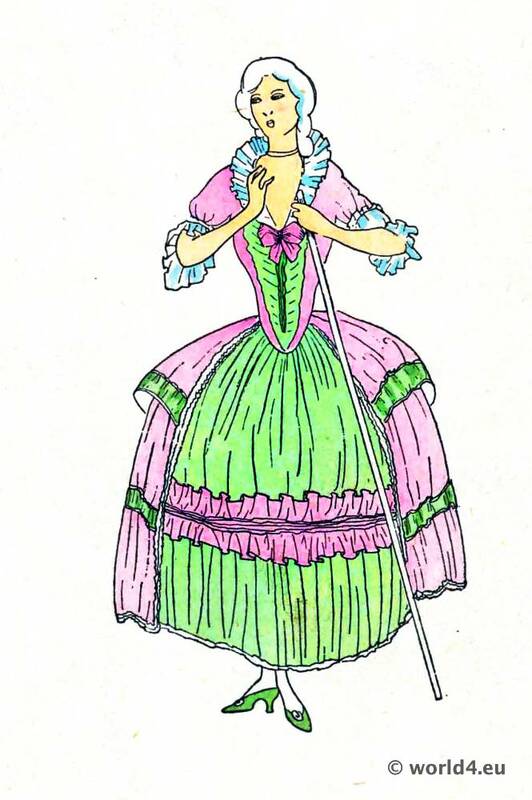 Costumes after the French Revolution 1796. The Salon of Madame Récamier. Parisian Society during the French Revolution. Comparison of the French and English Regency Modes 1808-1815. Georgian Regency, French Empire, Neoclassic era. Paris Commune 1871. Vengereuses. Parisian communards, Federates. Les modes du second empire 1852 a 1870. Fashion of the Second Empire 1852 to 1870. 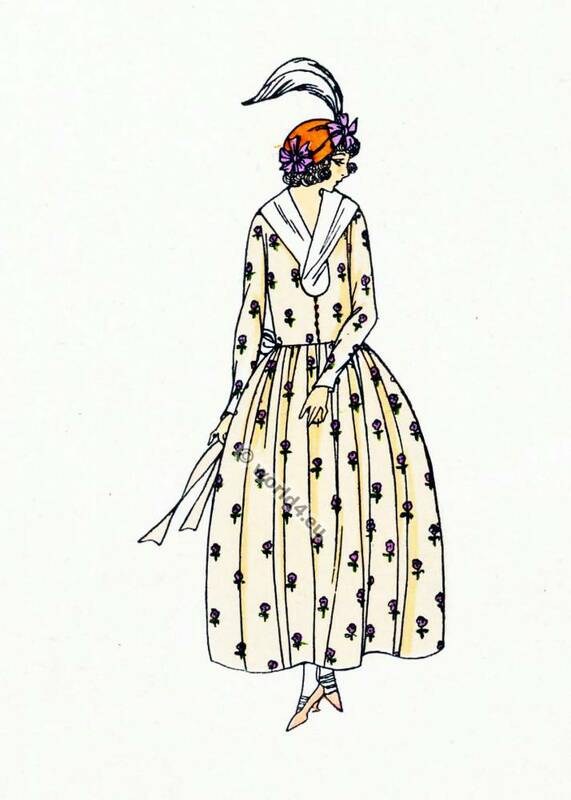 France Fin de siècle fashion. Haute couture 1913. Les Chapeaux du Très Parisien. Art Deco Hat models, Paris 1921. Chapeaux du Très Parisien. Art deco fashion, spring 1922. Les Créations Parisiennes. French Art deco fashion 1929. Traditional French national costumes. Les costumes regionaux de la France.